Our machines do everything an ATV or simple dune buggy does, and much more. Twice the horsepower, 4 Wheel Drive and long travel suspension make our Can Am’s able to navigate through terrain and scenic landscapes unseen by any 2 wheel drive buggy. 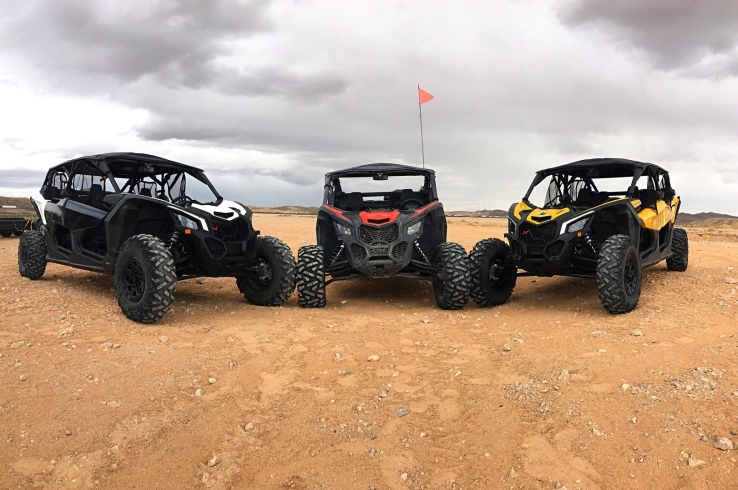 Our fleet is all long travel Maverick X3 model Can Ams, you won’t be driving a lesser model than your guide! Here is a wide variety of territory that you will be adventuring through. 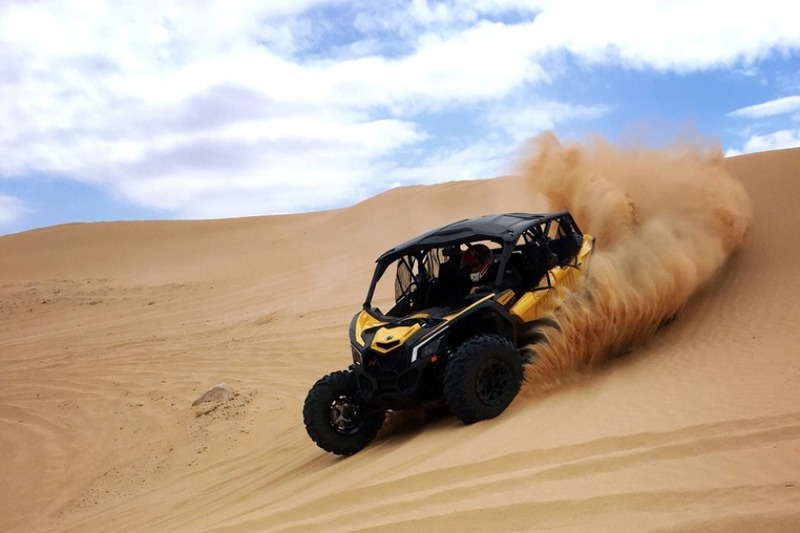 From sandy trails and sand dunes to rough terrain and rock climbs, you’ll be having a blast all the way! Please enter number of Guys and/or Girls.